Clemson Girl: History in the making. Clemson vs. Wake Forest game prediction. History in the making. Clemson vs. Wake Forest game prediction. After a week off to get their bodies, minds, and spirits rejuvenated, the 2011 senior class and this group of Tigers can do something that no other Clemson football team has ever done. On Senior Day in which a group of 20 seniors and graduate students will walk through Poe Plaza, step atop of The Hill, Rub the Rock and look across at 80,000 of their biggest orange-clad fans, one last time, the Tigers can make history. 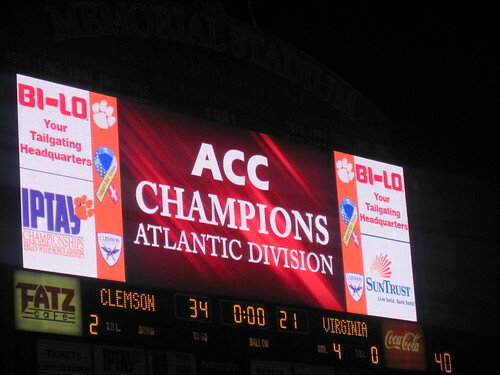 Clemson can clinch the Atlantic Coast Conference Atlantic Division title and a berth in the ACC Championship game in Charlotte and they can finish the season a perfect 7-0 in Death Valley. All they have to do is win against Jim Grobe’s Wake Forest Demon Deacons. Who clinches the division and who’s going home to scoreboard watch next week? Let’s take a look at the matchups. Wake Forest isn’t the same 3-9 team that they were a year ago, and sophomore quarterback Tanner Price is much improved from last year, far surpassing his production. Price is 169-for-273 for 2,154 yards with 15 touchdowns and six interceptions. In 2010, he threw seven touchdowns and eight interceptions. The much improved passing game which is ranked 32nd nationally is much more explosive due to the emergence of Price and his favorite receiver Chris Givens. Givens is second in the ACC in reception yards per game and has 58 catches for 985 yards and eight touchdowns. In essence, he is Wake Forest’s version of Sammy Watkins. Clemson’s secondary could have some matchup problems with Givens as they have had issues giving up the big play all season. Hopefully, cornerback Xavier Brewer’s move to safety will help solve that problem this weekend. Clemson’s special teams may get a boost this weekend with the possible return of kickoff specialist Spencer Benton. The Tigers have only allowed one kickoff to be returned for a touchdown in head coach Dabo Swinney’s tenure and guess who wasn’t on the field? That’s right, Spencer Benton. Benton can kick the ball deep and if there is a return, he is a tackling machine- recording 19 tackles so far this season. Punter Dawson Zimmerman and kicker Chandler Catanzaro have been very consistent throughout the entire season and I don’t see that changing this week. Emotions will be running high as the Tigers take the field this weekend. This will be the last game at home for the Clemson seniors, an ACC Atlantic division title is on the line and a chance for an undefeated record at home is on the horizon. Jim Grobe is 0-4 in Death Valley and the last time the Tigers lost to Wake Forest was in 2008, Tommy Bowden’s final game. The Deacons won’t roll over and allow the Tigers to march up and down the field on them, but with everything on the line, Clemson won’t let the pesky Deacon’s take away their next goal- winning the division. 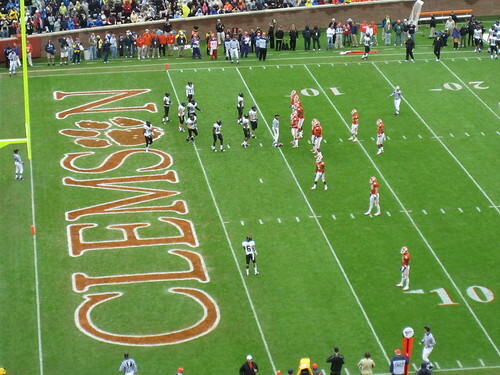 Post written by Clemson Girl sports blogger, Nikki Steele.